Spring can not come soon enough around here. 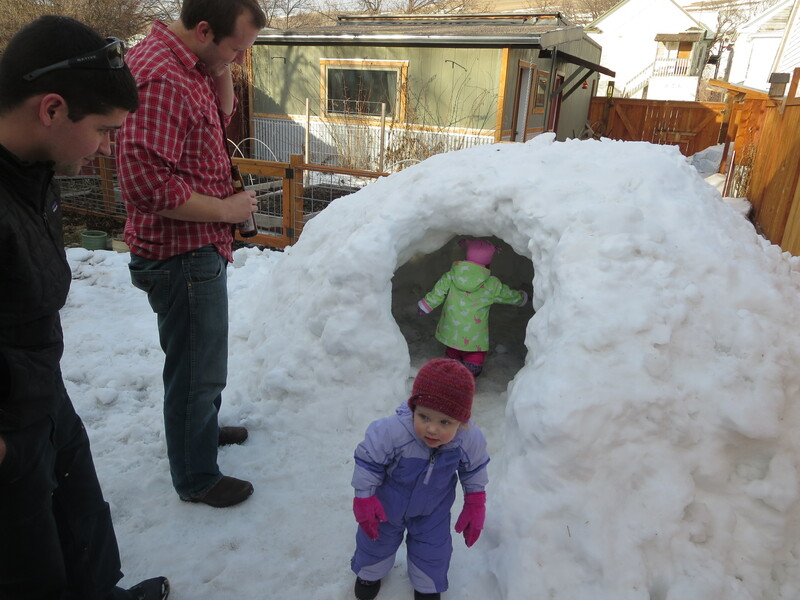 It has been a long, weird, and sometimes harsh winter in Missoula. 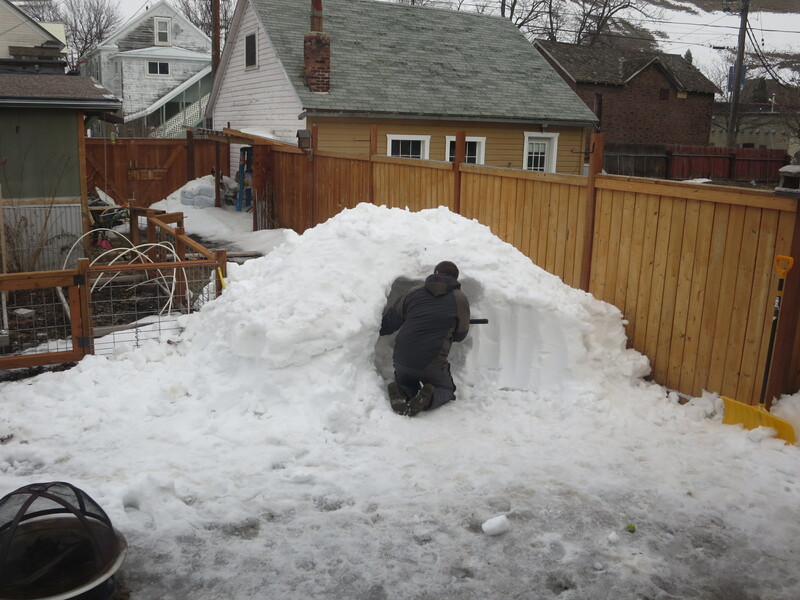 The last hurrah was a snow storm in early March that rivaled any I have lived through. 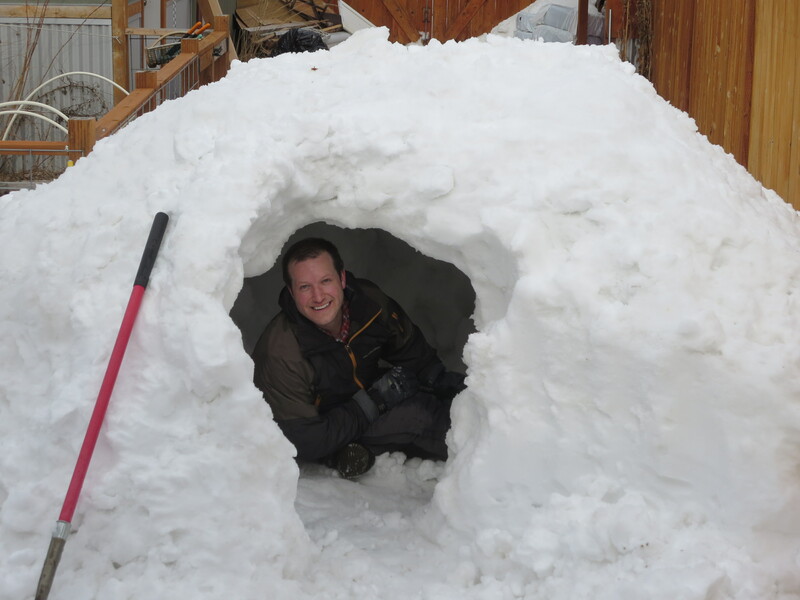 It was not the amount of snow as much as the gale force winds that sent everyone inside for cover. The University of Montana was even closed for the first time since the 90’s. 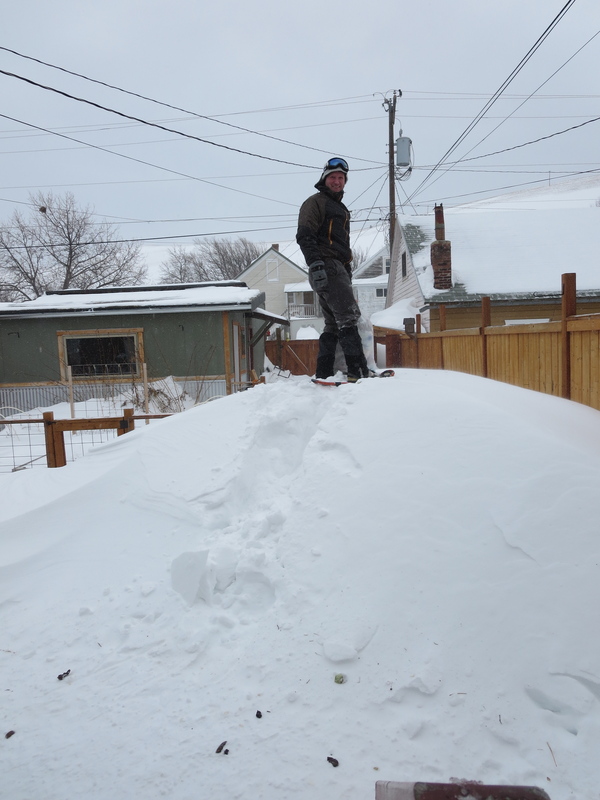 To give you an idea of how much snow we were dealing with, we woke up to our door snowed shut and 7 foot berms on our front lawn while our neighbors had bare ground. 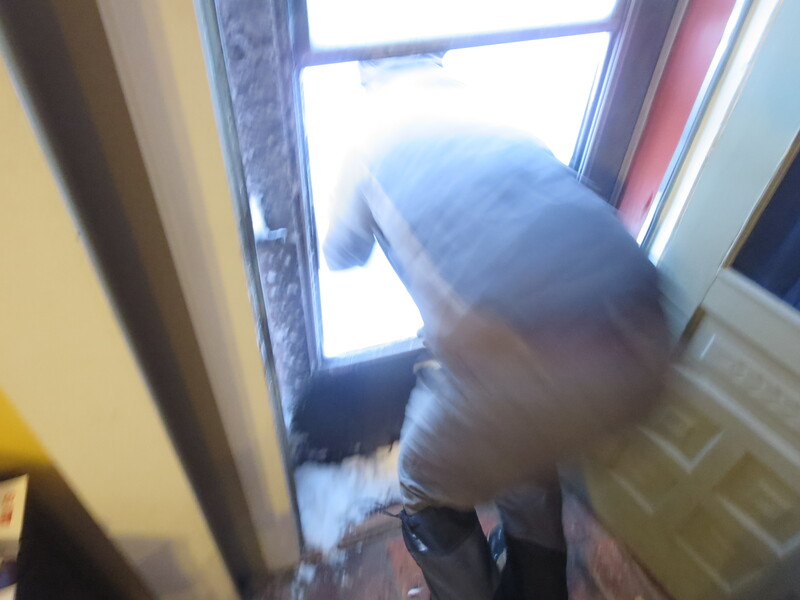 Before we called in the National Guard, Matt freed us by taking out the storm door window and throwing himself through it. 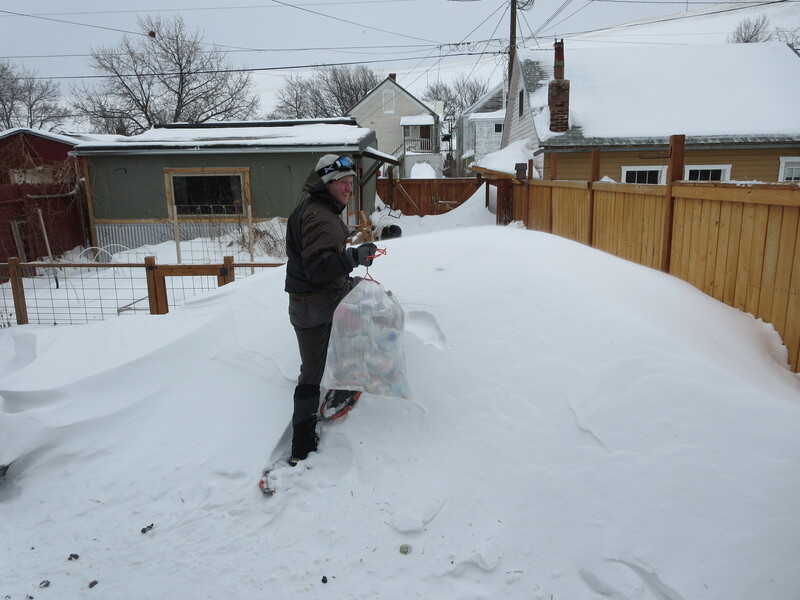 The most unfortunate pile of snow we encountered was the 6 foot pile in the backyard that blocked our pathway to the trash cans. The situation stunk, literally. 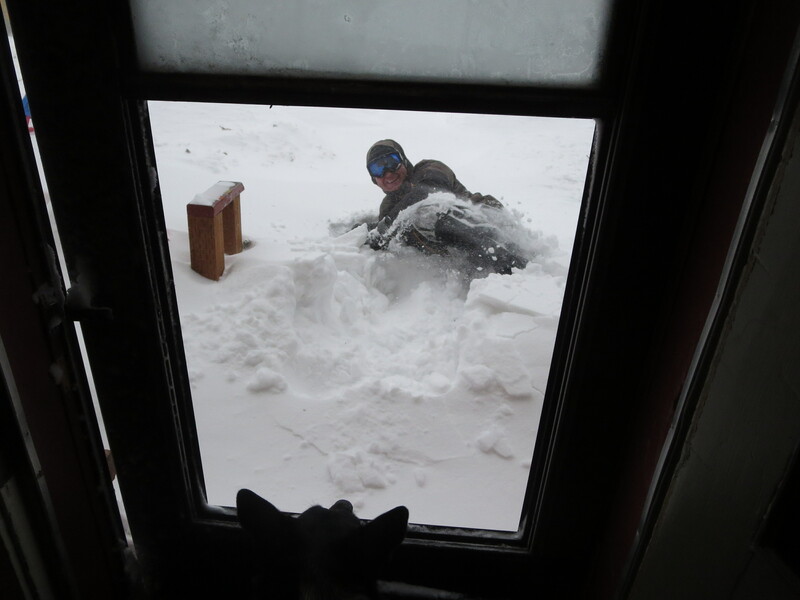 After the dogs spread a bag of trash all over the yard because our noses could not take it in the house anymore, Matt took action and strapped on some snowshoes. We were all feeling a little cooped up by day 3, so Matt decided to make lemonade out of lemons. As I watched him dig from the kitchen window all I could think was, boys will be boys! 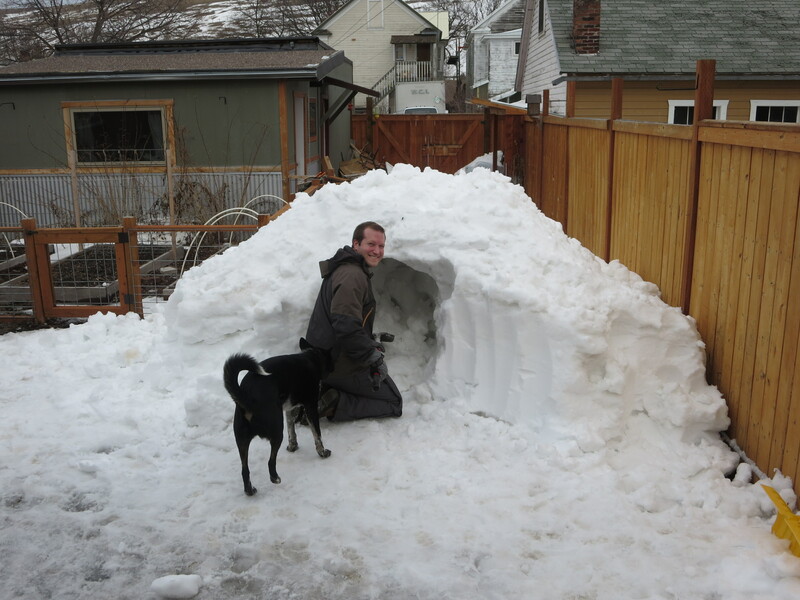 Our north side igloo lasted 2 weeks until Matt decided the structural integrity was sketchy and it needed to be demolished. During those two weeks Josie played in it, our dogs stood on it as a lookout, and Matt and I even has some late night (8pm) drinks by candle-light in it. 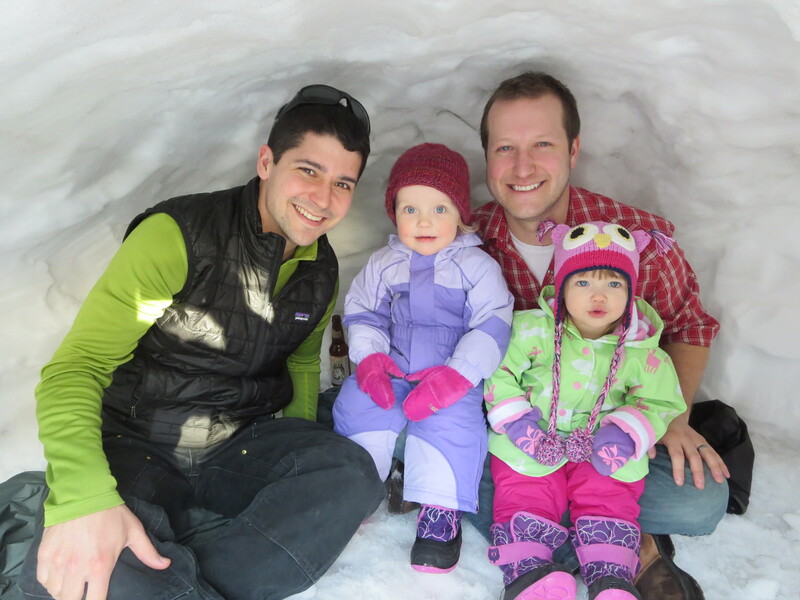 Winter fun for all…now with that recap capped, come on spring!